In the second of our series of reports from the Recruitment Agency Expo held in February, we explore the area of Social Media through the eyes of seminar speaker and expert, Matt Alder at Metashift. Since 1997, Matt has been working with emerging and shifting technologies to streamline digital strategies for Recruitment Agencies looking to identify the best in a saturated marketplace. A passionate and clear communicator, Matt delivered a top-notch seminar to a packed room of delegates eager to understand how best to cut through the noise and attract the best quality clients and candidates through the use of Social Media. Most, if not all, Recruitment companies in whichever fields they operate, are aware of how many options are available to advertise or pitch for business. Social Media is, according to Matt “the noisiest place on earth” where competition is fierce and turnover is rapid. With everyone shouting for attention, he asked if is it possible to stand out with a distinctive voice and attract exactly who you are looking for? Defining your purpose is key to implementing your Social Media strategy. There is no point in wasting time on a flashy SM campaign just because everyone else is doing it: it simply has to work for you! So it is important to ask why you are doing it; who is your target and where are these people? A scattergun approach may get the attention of a few but for optimum results, it needs to feel like you are aiming for a specific target. Matt advises taking a step back. Question your motives and consider which is the best platform for your company. Audiences are most likely to engage while on the move and for a limited time. They will inevitably be also occupied with something else as they read outlets such as Facebook and Twitter, so if you design a mobile website, check it is compatible with all devices and is easy to access. Double check that your links work from start to finish so that clients or candidates have a smooth experience and if not, they don’t become frustrated and look elsewhere. Can people comfortably upload their CV via your website via a mobile device for instance? In Matt’s view, it is certainly worth investing the time and resources to make this work. Essentially, you will compete in a small vertical space so using effective formats is vitally important. Consider carefully how visually appealing your company is, or how arresting your copywriter can be when it comes to words. Formats are ever evolving and as an industry we need to stay up to date with what is old and out of fashion, so that we stay fresh and relevant. Persuading someone to stay once you have their attention can be done through telling stories of your success. All over YouTube there are advertisements for products that don’t say, “Buy this” but instead, “Look at this”, letting the viewer draw their own conclusions. Prospective clients and candidates like to think they have made their own informed choice to join a company rather than feel coerced into something, so be confident in your own success without feeling the need to sound desperate. Ask yourself how up-to-date you are in terms of Social Media. Unfortunately, a lot of content out there is old and tired. We are working with a fast-evolving space so if you have not had a good look at your Social Media presence for a while, it is likely you need to make a start as soon as possible. 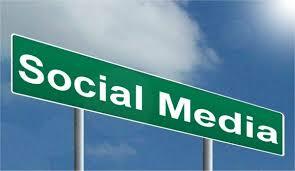 Finally, measuring success in terms of your Social Media presence is non-negotiable. Ask yourself who is connecting with you, what time of day sees the most traffic, how often people visit and so on. Take stock. Remember that a good Social Media strategy is only as good as the results it gives, so if it isn’t bringing in the business, take a step back and redesign it. You can measure your traffic through Google Analytics as a start, and any Twitter account can be registered as a business operation, which gives the option to see how many people are reading it.